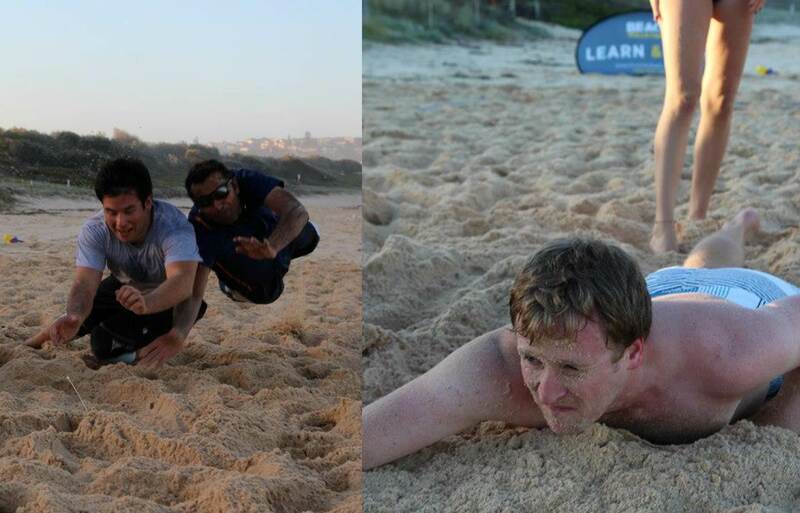 UTS Volleyball Club will start it’s pre-season training at Maroubra Beach from 28th January. This will continue weekly until trials start on the 25th of February. Sessions will run from 6:30 to dark. Sessions will include some activity to get the body moving and a bit of beach volleyball. Keep an eye on the Facebook group for updates on the day if there are weather issues, as we may relocate to Sydney Boys High. Dates have been set for 3 open trials for the men’s & women’s senior UTS Volleyball representative Honours and Divisions 1 & 2 teams. Please only attend if you are serious about playing for the UTS Volleyball in 2014. 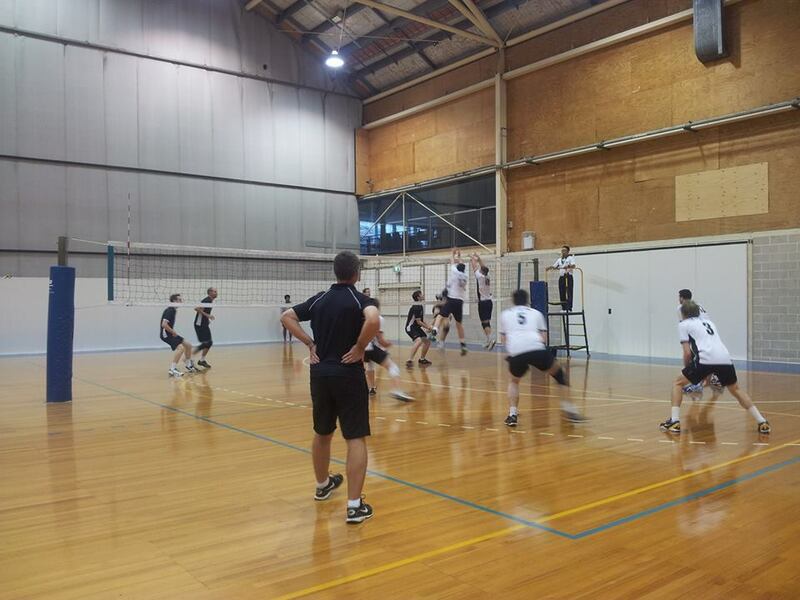 UTS Volleyball Club is calling for coaching applications for 2014. Applications should include relevant qualifications and experience, as well as indicating whether you are interested in head or assistant coaching, and which team(s) you have a preference to be involved with. 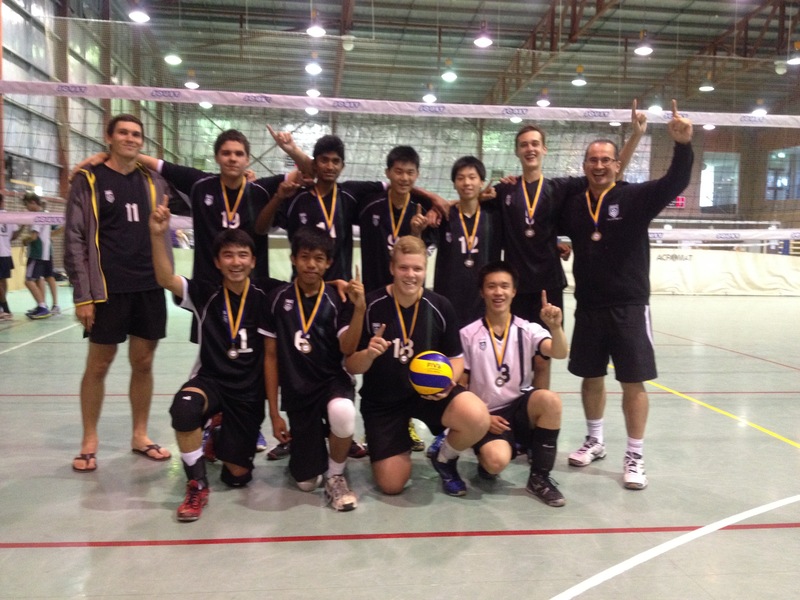 Junior Boys Program Update: GOLD in Canberra! The following weekend we all boarded the UTS mini-bus and headed down to Canberra for our first road trip as a team. We checked into the same hotel where the rest of the club was staying, but even more exciting for the boys was that McDonalds was located underneath… oh dear! On Day 1 the boys made a quick stop at the Volleyball shop and spent all their spending money on new shoes and other gear. We then made our way to the Hockey Centre where the Under 18 Schoolboy Division matches were to be played. Our first game was against Canberra Hornets and we came out firing with a 3:0 win. Our 2nd game was against local school Lyneham Blue, and we continued in great form with another 3:0 victory. Our last game was against BHV Khalsa, who surprised us with us draw. Saturday evening the whole team joined the crowd to support UTSSU, play against AIS in their last round of AVL. For most of the boys, this was their first experience of watching an elite level of volleyball competition, and many were inspired by the great plays demonstrated during the match. Day 2 of Good Neighbour started off with another solid 2:0 win against BHV Rippin (2nd Team), followed by one of our best matches of the weekend against BHV Rams (1st Team). The boys played some brilliant volleyball, with massive kills from the outside and middle. The backcourt defence never stopped and everyone hit the deck to save every point. (Thanks to Artem’s defensive work at all of those training sessions, refer video below) We finished the match with a 2:0 win! The last of our round robin matches was against local favourites, Lyneham Gold, but our boys put on another brilliant display of volleyball to outclass the opposition with a 2:0 win! With 5 wins and one draw, the boys made it thru to the Gold Medal FInal against BHV Rams. The final saw all of our boys play at their peak, with some great defence and solid attacking by everyone. We took the Gold medal with a solid 2:0 victory and a fitting end to many weeks of solid training and preparation. On behalf of all of the boys, we would like to thank the UTS Volleyball Club for commencing a Junior Boys Program and to Deb Chung for all of her kind support. A big thankyou to Artem and Clara for their time as coaches in preparing the team properly. Also, many thanks to Sam Morrison for booking our training venues and organising the mini-bus for our Canberra trip. We also appreciate and acknowledge the support of all of the parents/families of the boys. We will re-commence our training sessions early in the year and we look forward to continuing the Junior Boys Development Program in 2014 and preparing a team for SVL. …Go UTS! 2013 was a remarkable year for the UTS Volleyball Club. The return to a centralised training environment allowed a better-unified approach to all aspects of the club. This resulted in some great outcomes on and off the court. The “UTS Sports Club of the Year Award” was a fantastic tribute to all those who have made this a successful season. The Club competed in all State Volleyball NSW events including the State Cups, Sydney Volleyball League and Junior Metro Comps. 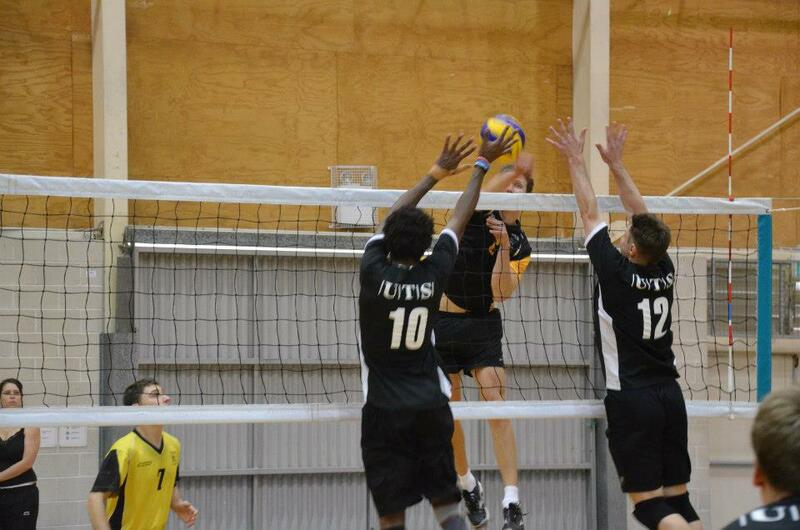 UTS combined with Sydney Uni continue to compete in the Senior national elite competition, the Australian Volleyball League. The club also sent indoor teams to the Australian University Games in Gold Coast. There were also several teams that played throughout the year weekly in our self-managed social competition. The return to a centralised training venue and night also greatly aided the “Club Culture”. Members were able to connect with others from different teams and coaches were able to share ideas and support each other. In 2014 we aim to maintain our status as one of the strongest clubs in NSW and Australia as a whole. UTS Volleyball will continue to provide the highest level of professionalism in all our volleyball programs. From the elite national league player to the social player on a Thursday night, UTSVC will commit to provide an environment where volleyball players can enjoy the sport at their appropriate levels. • Implement a student based beginner to intermediate training camp. • Continue the development and implementation of our junior boys and girls program. You are currently browsing the UTSVC blog archives for January, 2014.